AnglicareSA has its origins in Anglicans who saw need in the community and did something about it. Their dedication, drive for change and their commitment to care lives on in the AnglicareSA of today. South Australia’s earliest Anglican charitable organisation was The Orphan Home for the care of girls aged five to 12, established in 1860 under the leadership of Mrs Julia Farr. The Orphan Home was first located in Carrington St, city, then at Mitcham from 1908. Mrs Farr later helped to establish the Home for Incurables in 1878. Unmarried pregnant women sought refuge and gave birth at The House of Mercy and Retreat for Women in Walkerville, established in 1880. A home for boys was opened at Walkerville in 1887. In 1923 St Mary’s Mission of Hope was established in Halifax St, dedicated as a place where unmarried mothers could surrender their babies for care and adoption. St Mary’s Mission of Hope later became a home for young children. As they grew older, girls went to Farr House and boys went to Walkerville. These homes were all independent incorporated bodies which sent reports of their affairs to Synod and had the bishop as president or patron. In the 1940s, Bishop Robin pressed Synod to authorise the creation of a Social Welfare Committee and Bureau. He wanted Synod to take a direct role in the delivery of what was coming to be called social welfare. He also had families living in poverty in mind, especially where there was no male breadwinner. The Committee began in 1942 with a group of senior clergy and laypeople, with the bishop as chairman. It was not till 1947 that the Committee had enough funds and a satisfactory constitution to proceed with the creation of the Welfare Bureau. Joy MacLennan (pictured) was organising secretary and social worker and she served till 1975. The Bureau offered support which included placing children into homes and adoption, supplying clothing and funds. Many needy people had to be referred to hospitals or other agencies. It was a struggle to raise enough funds to pay the salaries and travel costs of the staff. Much good work was done for many years by op shops and jumble marts, especially in O’Connell St, North Adelaide. The Committee quickly discovered, as did many other social welfare organisations, that there was a desperate need for accommodation for older people, the result in part of poor economic opportunities in the 1930s. It struggled to raise funds, to press state and federal governments for support and to locate suitable properties, but succeeded with the first Anglican aged care home at Grange, founded in 1949. Commonwealth funding in 1955 made it possible for a number of agencies to build better facilities. Gradually they realised that many old people needed nursing home care not dissimilar from that available in hospitals. By the 1960s was a rising demand for hostel facilities which would house people in private rooms, supported by a rising number of other facilities including a chapel, meeting rooms and small shops if possible. Further aged care facilities were established at Westbourne Park in the 1970s, at Elizabeth in the 1980s and 1990s using both Commonwealth funding as available and some generous bequests. Meanwhile, the attitudes to the care of families and children were being challenged. By the 1970s few unwed mothers were ready to surrender their children. The House of Mercy closed in the 1960s, St Mary’s moved to Prospect, then in the mid-1970s the three child care agencies coalesced into the Anglican Child Care services. The Diocesan Social Welfare Committee now managed both the Aged Care services and the expanding Child Care Services. The Anglicare name officially started in SA in 1998. Local control remained but the new name made it part of a recognisable national network of Anglican caring agencies. Some 40 agencies around the country are members of Anglicare Australia, providing a range of services for people of every age. Until 2000, AnglicareSA continued as a department responsible to Synod, but that year, the need for independent financial and legal identity, driven largely by the many contracts undertaken on behalf of state and federal governments, saw its incorporation. AnglicareSA retain close links with the Anglican Church – AnglicareSA members are the members of the synod of the diocese of Adelaide and the Archbishop of Adelaide remains President of the governing Council. The Archbishop’s Appeal has been the major capital fundraising appeal for AnglicareSA. 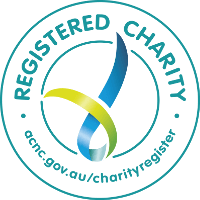 Many parishes are involved in both AnglicareSA activities supporting their own communities, and AnglicareSA offers support and expertise to local initiatives. Growth Today, AnglicareSA is here to support everyone from before birth, to death, and every life stage in between. There are parenting programs, relationship counselling, community-building groups and engaging and creative groups for teens and young people. Through our 400 foster carers and staff, we support 600 of the 1200 children under the Guardianship of the Minister every night. AnglicareSA runs financial counselling programs, emergency assistance for when times get tough, we welcome refugees to their communities. We have employment programs, training and opportunity shops. We provide secure and affordable homes for people at risk of homelessness. AnglicareSA support people living with mental illness and disability to live the lives they want and support people who are homeless or at risk of homelessness. AnglicareSA empowers older people to live life to the full, whether that is in their own homes or in one of our aged-care facilities. We have pioneered the creation of homes creation of homes for vulnerable, frail elderly people, who would otherwise be at risk of homelessness. Ian George Court, in Brompton, has been home to 40 people since 2004. Neal Court in Elizabeth, opened in 2008 and houses 60 people. We’re here for everyone, even the people everyone else has given up on, and we’ve been doing it for more than 150 years. But we couldn’t do it without our generous donors, our 1600 dedicated staff and our 630 amazing volunteers. With their help, AnglicareSA will be supporting South Australians for the next 150 years, and beyond. Source: Dickey, Brian; Giving a Hand: A History of Anglicare SA Since 1860 (Adelaide: Anglicare SA 2003) If you have questions about the history of AnglicareSA or its antecedents, email [email protected] or telephone 8305 9200.